The whole point of astroturfing is to try to convince you there’s widespread support for or against an agenda when there’s not. You know a little bit about grassroots movements, don’t you? They are quite powerful when they generate large communities, especially when they take the conversation online. They tend to carry a lot of strength (both online and offline), because of their independent efforts to create change in the world. But what if we told you that not all of these movements are what they claim to be? What if we told you that some of these movements are created by special interest groups who disguise themselves as reputable people and exploit social media platforms, websites and events to manipulate your opinions? 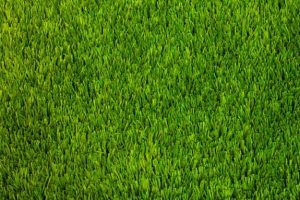 Astroturfing is the attempt to create an impression of widespread support for a policy, individual, or product, where very little support actually exited beforehand. In other words, astroturfers create marketing or public relations campaigns in an attempt to present inaccurate information as real information. Usually, special interest groups use this technique to give an organization credibility by withholding information about the source’s financial connection. 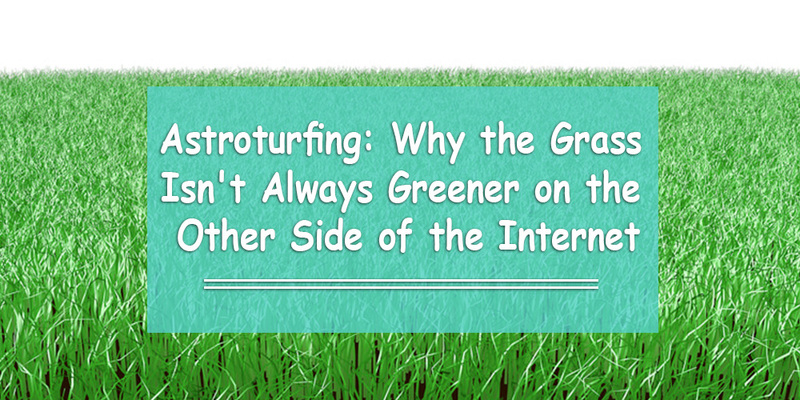 How Did Astroturfing Become an Online Issue? Astroturfing is usually associated with the Internet, because of all the fake news stories popping up in everyone’s news feeds. The practice is now widespread thanks to the perception malicious people have about the Internet. As opposed to spreading rumors and misinformation in real life (and giving personal information), the Internet has taken a turn. Online astroturfing began on forums, comment sections of news websites and social media networks. People can leave comments as anonymous users with very little fear of discovery. Fast-forward to today, as more Internet users begin to understand the process and the fact that people can ‘anyone they want to be,’ they can post anything they want. People with bad intentions can lie online (with no accountability whatsoever) and intentionally manipulate society so they can protect or enhance their own financial interests. You’re watching the news. The broadcaster is posting a story about a new drug that lowers your cholesterol. The study says it is so effective that doctors should consider prescribing it to people who don’t even have high cholesterol… even kids. It sounds too good to be true. So you decide to do some of your own research. You do a simple Google search on the drug, you find out what people are saying about it on social media, and you even check out articles on Wikipedia, WebMD, and another non-profit with the drug’s name in the URL. You even read the original study published in the medical journal. It all confirms that the drug is effective. You run across a few negative comments about it, particularly how it might link to cancer. However, you dismiss those comments because medical experts call the cancer link a ‘myth.’ In fact, your own doctor went to a medical seminar and recommends it for you. Would You Take the Drug? The top comments you saw on YouTube, Facebook, and Twitter were written by paid professionals hired by the drug company to promote the drug (and upvote their own comments together). The Wikipedia page is monitored by an editor with the same agenda. The drug company used astroturfing and digital marketing tactics to optimize Google’s search engine results to appear on the first page. The non-profit was secretly founded and funded by the drug company. The drug company financed the study, and it was written by professionals hired by the drug company to promote the drug. Your doctor… was not hired by the drug company. He just had no idea any of this was happening behind the scenes and innocently gave you a drug that links to cancer. Situations like these happen quite often across many industries. Nevertheless, there are usually two industries deeply embedded in the spread of astroturfing strategies: the media and politics. Those who practice astroturfing know that they can accomplish the most when their news stories cross over into semi-trusted resources that publish news stories with this misinformation without fact-checking.That said, this does not mean you’re helpless when trying to obtain accurate information. There are some things you can do to help prevent astroturfing and fall victim to propaganda. People can easily be fooled online if they just accept what they read or watch on the Internet as fact, particularly on social media. We can’t even rely on mainstream media to filter out astroturfing stories, because a lot of news organizations have political agendas. Astroturfers always give off the perception that they are right; anyone who questions their authority is wrong. In addition, astroturfers will sometimes ‘debunk myths’ that aren’t myths at all… all in an attempt to save face. When confronted about their ‘objectiveness,’ propagandists tend to attack people who disagree with them. Rather than sticking to the facts and having a reasonable discussion online, they will try to demoralize your character. They may also try to censor and silence issues who try to engage with them, as well. Astroturfers and propagandists tend to reserve all of their public skepticism for those who expose wrongdoing rather than the wrongdoers. Instead of questioning authority, they question those who question authority. This proves that astroturfers are not interested in providing accurate information. Furthermore, it proves that they’re more interested in being right than having the right information. Everyone has an agenda. The combination of people wanting to be rich, wanting to be right, or wanting to be the first to report something results in a lot of fake news and astroturfing. So when you do your research, analyze what they’re saying first and really think about the person’s motive. The more you know, the more accurate your conclusions will be. Question Everything! Just because you read or watched something online does not mean it is true… especially in today’s world. Once you realize what the person’s/organization’s agenda is, you’ll realize that most people have biases. Don’t believe everything you watch on the news or read on social media. At the very least, think critically about it.